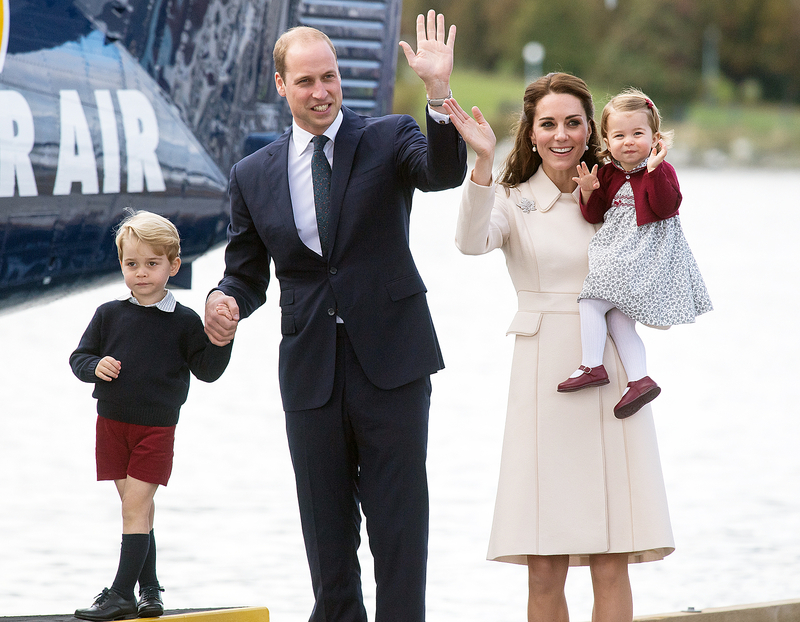 He&apos;s father of two of the most famous children in the world, future heir to the British throne, an air ambulance pilot, husband and wildlife protection advocate, so it&apos;s no wonder that Prince William doesn&apos;t always find things easy. In a rare interview filmed on Thursday, November 17, the Duke of Cambridge opened up about parenthood and family life with Vietnamese broadcaster VTV during his trip to the country to campaign against poaching. Watch what he said in the clip above! The 34-year-old prince admitted to Talk Vietnam host Tran Thuy Duong, "I&apos;ve struggled at times. The alteration from being a single independent man to going into marriage and then having children is life-changing. I adore my children very much, and I&apos;ve learned a lot about myself and about family just from having my own children. It&apos;s amazing how much you pick up just from those moments." 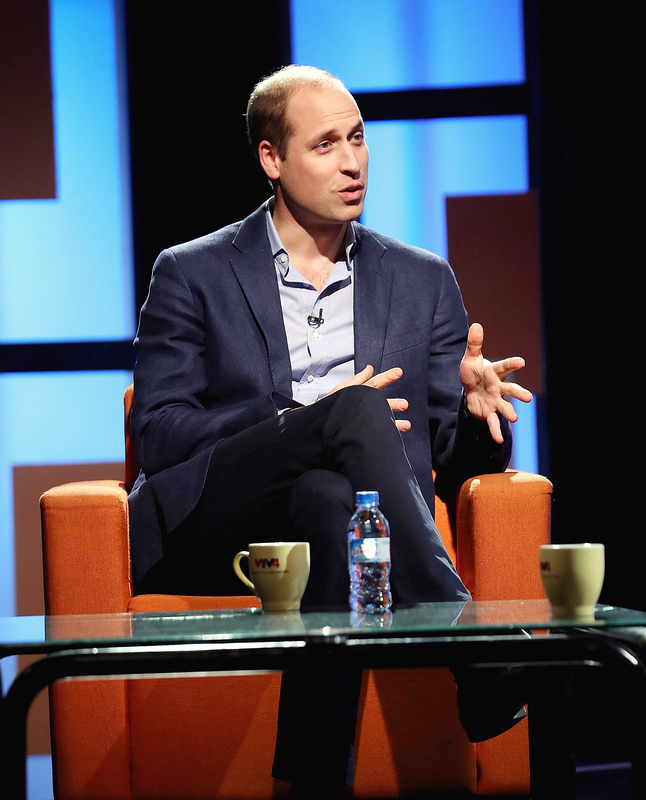 The duke also spoke candidly on the popular English-language chat show about both his personal commitment to protecting wildlife and life at home with Duchess Kate, Princess Charlotte and Prince George. "As the other parents in the room will testify, there&apos;s wonderful highs and wonderful lows," William said. "It&apos;s been quite a change for me, personally. I&apos;m very lucky in the support I have from Catherine. She&apos;s an amazing mother and a fantastic wife." As for the kids? William joked that 3-year-old George "is a right little rascal sometimes, keeps me on my toes," but added, "He&apos;s a sweet boy." He also revealed that one of the the biggest learning experiences has come from having Charlotte, 18 months. "Bearing in mind I haven&apos;t had a sister, so having a daughter is a very different dynamic, so I&apos;m learning about having a daughter, having a girl in the family," he explained. "It&apos;s wonderful, it&apos;s fantastic. You&apos;ve gotta make the time for the family. It&apos;s very important." With his life dedicated to family and philanthropy, it&apos;s hard to imagine the prince has time for anything else, but William tries to make time for hobbies. "I still occasionally ride my motorbike — quite like my bike a lot," he revealed. "I love being outside with my dog. Lupo&apos;s a spaniel; he needs a lot of walking. He&apos;s very busy as a spaniel, they don&apos;t stop moving around, their tails are constantly wagging." 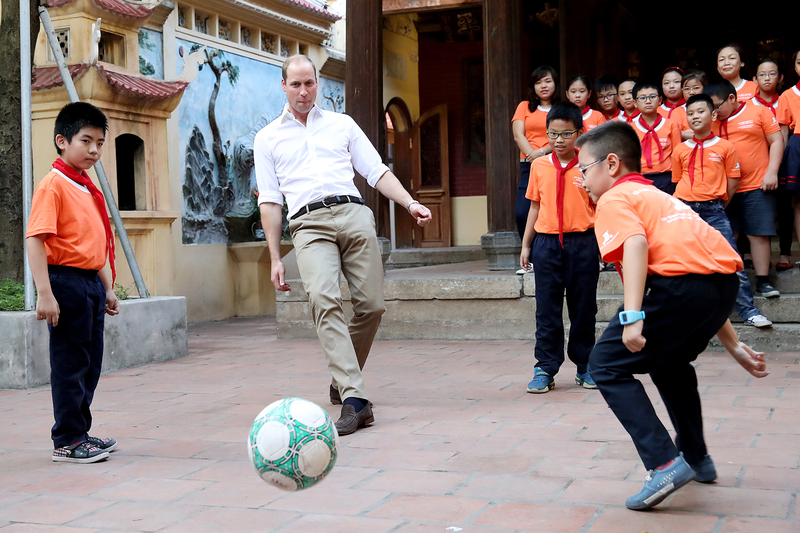 The television interview was the final engagement for William during his visit to Vietnam. The two-day trip was short, but the heir to the British throne says he was impressed by the people he met. He added, "My message is very much a positive message for the future and I would love it if the young would join with me and become global leaders for conservation and really champion this cause." 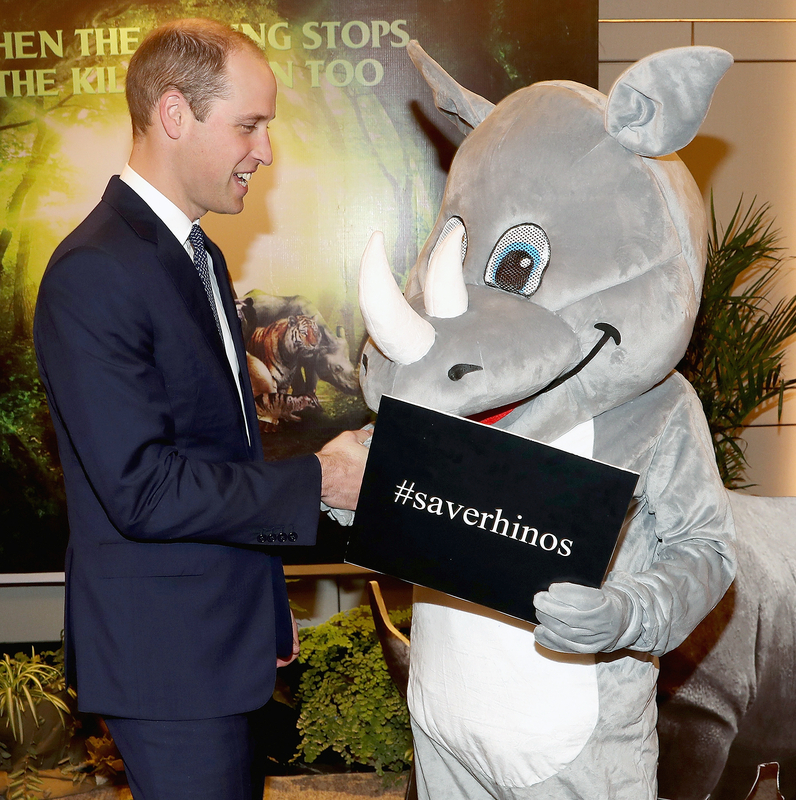 On Thursday, William also spoke at the Hanoi Conference on Illegal Wildlife Trade, where he urged governments of 40 countries (along with NGOs and conservation groups) to act now to save vulnerable species "before it is too late." "We know that we aren&apos;t moving fast enough to keep up with the crisis," William said in a speech. "Rhinos, elephants, pangolins, lions — they are still being killed in horrifying numbers. While we&apos;ve made progress, the truth is we are still falling behind. A betting man would still bet on extinction." Vietnam has become a major global hub for the illegal trade of contraband animal products from Africa, including ivory, rhino horns and tiger and bear parts. They are then usually smuggled over to other Asian markets, notably China. "We can win this battle," the Tusk Trust patron added. "And in doing so we can take a small but very important step in reminding ourselves that we are capable of rising to the challenges of our age — a message that our young people need to hear loud and clear."